A thermoluminescent dosimeter, abbreviated as TLD, is a passive radiation dosimeter, that measures ionizing radiation exposure by measuring the intensity of visible light emitted from a sensitive crystal in the detector when the crystal is heated. 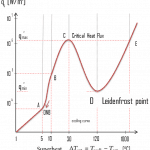 The intensity of light emitted is measure by TLD reader and it is dependent upon the radiation exposure. Thermoluminescent dosimeters was invented in 1954 by Professor Farrington Daniels of the University of Wisconsin-Madison. TLD dosimeters are applicable to situations where real-time information is not needed, but precise accumulated dose monitoring records are desired for comparison to field measurements or for assessing the potential for long term health effects. In dosimetry, both the quartz fiber and film badge types are being superseded by TLDs and EPDs (Electronic Personal Dosimeter). In general, thermoluminescence is a form of luminescence. It is exhibited by certain crystalline materials, such as calcium fluoride, lithium fluoride, calcium sulfate, lithium borate, calcium borate, potassium bromide, and feldspar. 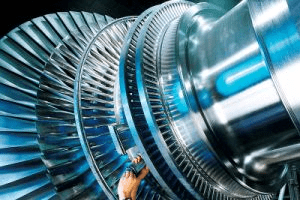 Previously absorbed energy from electromagnetic radiation or other ionizing radiation in these materials is re-emitted as light upon heating of the material. The material must also be transparent to its own light emissions. Electrons in some solids can exist in two energy states, called the valence band and the conduction band. The energy gap or the band gap is an energy range between valence band and conduction band where electron states are forbidden. The valence band and conduction band are the bands closest to the Fermi level and thus determine the electrical conductivity of the solid. In electrical insulators and semiconductors, the conduction band is the lowest range of vacant electronic states. 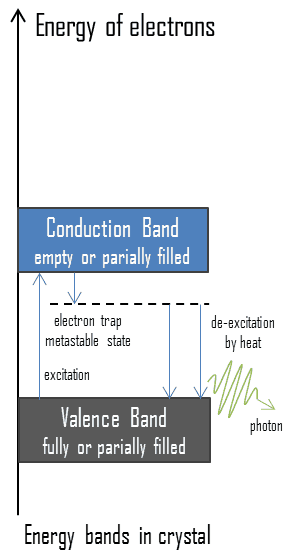 On a graph of the electronic band structure of a material, the valence band is located below the Fermi level, while the conduction band is located above it. In thermoluminescent materials, electrons may reach the conduction band, when they are excited, for example, by ionizing radiation (i.e. they must obtain energy higher than Egap). But in this case, defects in the material exist or impurities are added to trap electrons in the band gap and hold them there. These trapped electrons represent stored energy for the time that the electrons are held. This energy is given up if the electron returns to the valence band. When such crystals subsequently are heated the trapped electrons receive enough energy to escape from the trap and fall to the ground state. A portion of energy is emitted as light photons and a portion of energy is released as heat. Since warming is a requirement for this type of luminescence, the technique is called thermoluminescence. The two most common types of thermoluminescent materials used for dosimetry are calcium fluoride and lithium fluoride, with one or more impurities (e.g. manganese or magnesium) to produce trap states for energetic electrons. The impurity causes traps in the crystalline lattice where, following irradiation, electrons are held. When the crystal is warmed, the trapped electrons are released and light is emitted. The amount of light is related to the dose of radiation received by the crystal. Calcium fluoride TLD is used to record gamma exposure, while lithium fluoride TLD is used for gamma and neutron exposure (indirectly, using the Li-6 (n,alpha)) nuclear reaction. Small crystals of LiF (lithium fluoride) are the most common TLD dosimeters since they have the same absorption properties as soft tissue. Lithium has two stable isotopes, lithium-6 (7.4 %) and lithium-7 (92.6 %). Li-6 is the isotope sensitive to neutrons. In order to record neutrons, LiF crystal dosimeters may be enriched in lithium-6 to enhance the lithium-6 (n,alpha) nuclear reaction. When ionizing radiation passes through the detector (chip), the chip absorbs the radiation and its structure changes slightly. In thermoluminescent materials, electrons may reach the conduction band, when they are excited, for example, by ionizing radiation (i.e. they must obtain energy higher than Egap). But in this case, defects in the material exist or impurities are added to trap electrons in the band gap and hold them there. These trapped electrons represent stored energy for the time that the electrons are held and the amount of this energy is dependent upon the radiation exposure. In order to obtain the dose received, the TLD chip must be heated in this TLD reader. The trapped electrons return to the ground state and emit photons of visible light. 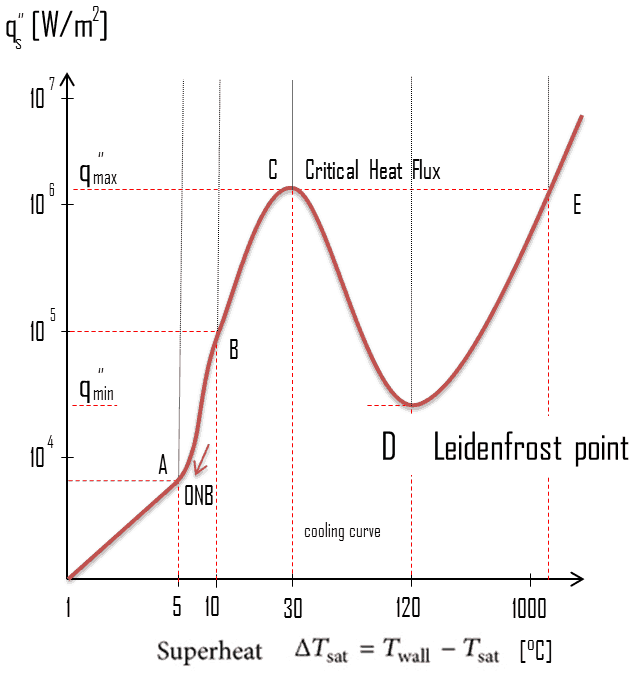 The amount of light emitted relative to the temperature is called the glow curve. After the readout is complete, the TLD is annealed at a high temperature. This process essentially zeroes the TL material by releasing all trapped electrons. The TLD is then ready for reuse. Photomultiplier tube. PMT amplifies and measures the light output. Meter/Recorder. Recorder is able to display and record data. In order to obtain the dose received, the TLD chip must be heated in this TLD reader. The trapped electrons return to the ground state and emit photons of visible light. 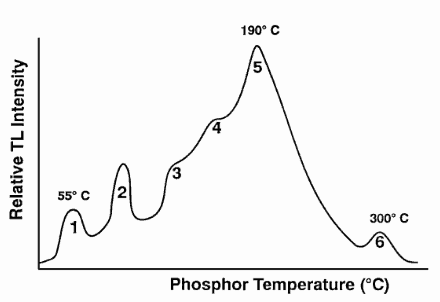 The amount of light emitted relative to the temperature is called the glow curve. This curve is analyzed to determine the dose. After the readout is complete, the TLD is annealed at a high temperature. This process essentially zeroes the TL material by releasing all trapped electrons. The TLD is then ready for reuse. There are two types of readers. Automatic, and manual readers. The automatic TLD reader is a lot more complicated than it might expected. TLDs are able to measure a greater range of doses in comparison with film badges. Doses from TLDs may be easily obtained. TLDs can be read on site instead of being sent away for developing. Each dose cannot be read out more than once. The readout process effectively “zeroes” the TLD. 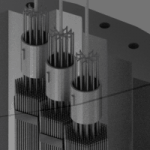 The personnel neutron dosimetry continues to be one of the problems in the field of radiation protection, as no single method provides the combination of energy response, sensitivity, orientation dependence characteristics and accuracy necessary to meet the needs of a personnel dosimeter. The most commonly used personnel neutron dosimeters for radiation protection purposes are thermoluminescent dosimeters and albedo dosimeters. Both are based on this phenomenon – thermoluminescence. For this purpose, lithium fluoride (LiF) as sensitive material (chip) is widely used. 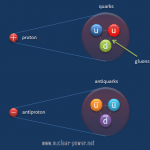 Lithium fluoride TLD is used for gamma and neutron exposure (indirectly, using the Li-6 (n,alpha)) nuclear reaction. Small crystals of LiF (lithium fluoride) are the most common TLD dosimeters since they have the same absorption properties as soft tissue. Lithium has two stable isotopes, lithium-6 (7.4 %) and lithium-7 (92.6 %). Li-6 is the isotope sensitive to neutrons. 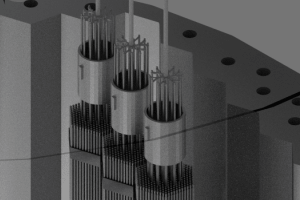 In order to record neutrons, LiF crystal dosimeters may be enriched in lithium-6 to enhance the lithium-6 (n,alpha) nuclear reaction. The efficiency of the detector depends on the energy of the neutrons. Because the interaction of neutrons with any element is highly dependent on energy, making a dosimeter independent of the energy of neutrons is very difficult. In order to separate thermal neutrons and photons, LiF dosimeters are mostly utilized, containing different percentage of lithium-6. LiF chip enriched in lithium-6, which is very sensitive to thermal neutrons and LiF chip containing very little of lithium-6, which has a negligible neutron response. The principle of neutron TLDs is then similar as for gamma radiation TLDs. In the LiF chip, there are impurities (e.g. manganese or magnesium), which produce trap states for energetic electrons. The impurity causes traps in the crystalline lattice where, following irradiation (to alpha radiation), electrons are held. When the crystal is warmed, the trapped electrons are released and light is emitted. The amount of light is related to the dose of radiation received by the crystal. Albedo neutron dosimetry is based on the effect of moderation and backscattering of neutrons by the human body. Albedo, the latin word for “whiteness”, was defined by Lambert as the fraction of the incident light reflected diffusely by a surface. Moderation and backscattering of neutrons by the human body creates a neutron flux at the body surface in the thermal and intermediate energy range. These backscattered neutrons called albedo neutrons, can be detected by a dosimeter (usually a LiF TLD chip), placed on the body which is designed to detect thermal neutrons. Albedo dosimeters have been found to be the only dosimeters which can measure doses due to neutrons over the whole range of energies. Usually, two types of lithium fluoride are used to separate doses contributed by gamma-rays and neutrons. LiF chip enriched in lithium-6, which is very sensitive to thermal neutrons and LiF chip containing very little of lithium-6, which has a negligible neutron response. In previous chapters, we described the equivalent dose and the effective dose. But these doses are not directly measurable. For this purpose, the ICRP has introduced and defined a set of operational quantities, which can be measured and which are intended to provide a reasonable estimate for the protection quantities. These quantities aim to provide a conservative estimate for the value of the protection quantities related to an exposure avoiding both underestimation and too much overestimation. Numerical links between these quantities is represented by conversion coefficients, which are defined for a reference person. It is very important that an internationally agreed set of conversion coefficients is available for general use in radiological protection practice for occupational exposures and exposures of the public. For the calculation of conversion coefficients for external exposure, computational phantoms are used for dose assessment in various radiation fields. 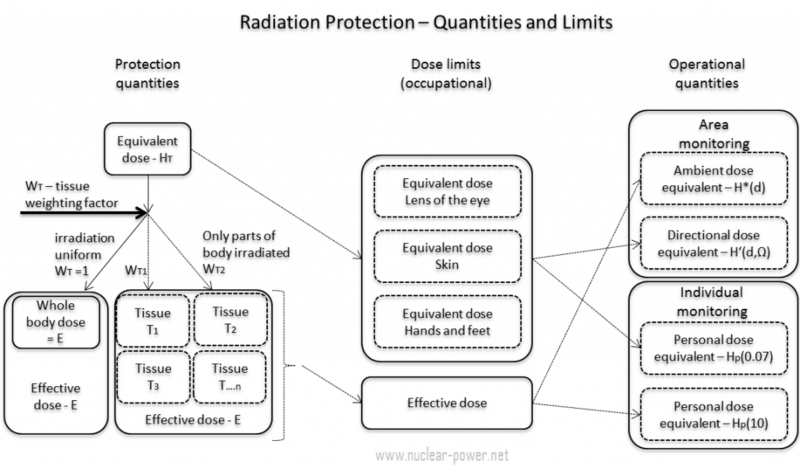 For the calculation of dose coefficients from intakes of radionuclides, biokinetic models for radionuclides, reference physiological data, and computational phantoms are used. 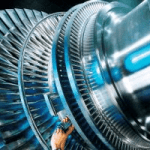 A set of evaluated data of conversion coefficients for protection, and operational quantities for external exposure to mono-energetic photon, neutron, and electron radiation under specific irradiation conditions is published in reports (ICRP, 1996b, ICRU, 1997). Ambient dose equivalent, H*(10). The ambient dose equivalent is an operational quantity for area monitoring of strongly penetrating radiation. Directional dose equivalent, H’ (d,Ω). The directional dose equivalent is an operational quantity for area monitoring of weakly penetrating radiation. Personal dose equivalent, Hp(0.07). The Hp(0.07) dose equivalent is an operational quantity for individual monitoring for the assessment of the dose to the skin and to the hands and feet. Personal dose equivalent, Hp(10). 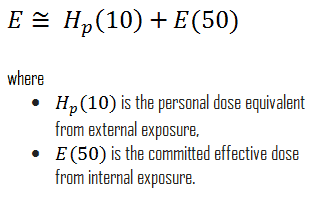 The Hp(10) dose equivalent is an operational quantity for individual monitoring for the assessment of effective dose. Special Reference: ICRP, 2007. The 2007 Recommendations of the International Commission on Radiological Protection. ICRP Publication 103. Ann. ICRP 37 (2-4). the normal local natural background radiation. Table of dose limits for occupationally exposed workers and for the public. Source of data: ICRP, 2007. The 2007 Recommendations of the International Commission on Radiological Protection. ICRP Publication 103. Ann. ICRP 37 (2-4). According to the recommendation of the ICRP in its statement on tissue reactions of 21. April 2011, the equivalent dose limit for the lens of the eye for occupational exposure in planned exposure situations was reduced from 150 mSv/year to 20 mSv/year, averaged over defined periods of 5 years, with no annual dose in a single year exceeding 50 mSv. In radiation protection, the sievert is a derived unit of equivalent dose and effective dose. The sievert represents the equivalent biological effect of the deposit of a joule of gamma rays energy in a kilogram of human tissue. Unit of sievert is of importance in radiation protection and was named after the Swedish scientist Rolf Sievert, who did a lot of the early work on radiation dosimetry in radiation therapy. As was written, the sievert is used for radiation dose quantities such as equivalent dose and effective dose. Equivalent dose (symbol HT) is a dose quantity calculated for individual organs (index T – tissue). Equivalent dose is based on the absorbed dose to an organ, adjusted to account for the effectiveness of the type of radiation. Equivalent dose is given the symbol HT. The SI unit of HT is the sievert (Sv) or but rem (roentgen equivalent man) is still commonly used (1 Sv = 100 rem). We must note that radiation is all around us. In, around, and above the world we live in. It is a natural energy force that surrounds us. It is a part of our natural world that has been here since the birth of our planet. In the following points we try to express enormous ranges of radiation exposure, which can be obtained from various sources. 175 000 µSv – Annual dose from natural radiation on a monazite beach near Guarapari, Brazil. 5 000 000 µSv – Dose that kills a human with a 50% risk within 30 days (LD50/30), if the dose is received over a very short duration.